Land Rovers are a highly cross-functional vehicle built to provide a powerful driving experience. In order to keep your Land Rover running in top condition for years to come, it’s important to stay current with your vehicle’s recommended services and inspections. At Auto-Master Complete Repair in Winter Park, FL, we offer quality and reliable services for Land Rover vehicles. 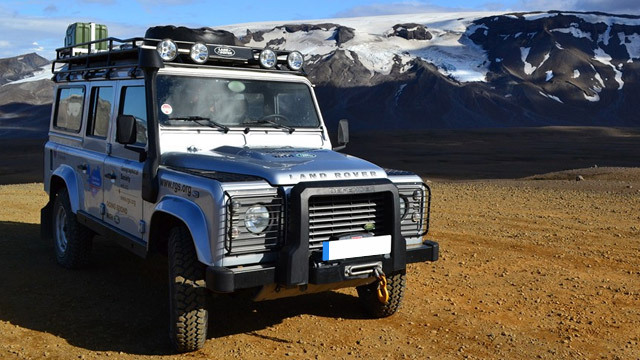 Our ASE certified technicians are experienced working on all makes and models of Land Rover and can assist with any repair or service that you need. Our Winter Park auto repair shop is the premier choice for Land Rover repair. If you’re experiencing an issue with your vehicle, don’t hesitate to stop by our shop at the first sign of trouble. Ignoring a small problem now can turn into a larger, more expensive problem down the road. Auto-Master Complete Repair has the latest, state-of-the-art computer diagnostic equipment and skilled staff to accurately diagnose and repair your vehicle. Our experts will determine the exact cause of the issue and get you back on the road quickly and safely. Regular inspections and maintenance are recommended on Land Rover vehicles in order to maintain your vehicle’s integrity and drivability. We follow manufacturer guidelines to determine what inspections need to be completed at each interval. Our experts will always discuss our service or repair recommendations with you and walk you through our service options. If you need a service or repair for your Land Rover, bring your vehicle into the experts here at Auto-Masters Complete Repair. We look forward to seeing you soon!